I’m so thrilled and delighted to share that my middle grade mystery, Andi Under Pressure, has been nominated for an Agatha Award for Best Children’s/YA Novel. The Agathas are awards that honor the best in traditional mystery. It’s a great honor! My very first novel, Maid of Murder, was nominated for Best First Novel in 2010, and Andi Unexpected, my first middle grade mystery, was nominated last year for Best Children’s/YA Novel. I’m so grateful for the Malice Domestic Convention that hosts the awards. They have been so kind to me over the years, and it’s my favorite book convention, hands down. I’m also thankful for my publisher Zonderkidz, my super agent Nicole Resciniti. The winners will be announced on May 2, 2015 during the Malice Domestic Convention. To celebrate the nomination, I am revealing the cover for Andi #3, Andi Unstoppable. It will release from Zonderkidz on October 6, 2015! I’m so excited about Andi’s next adventure. It might be my favorite in the series. And here’s the cover…. 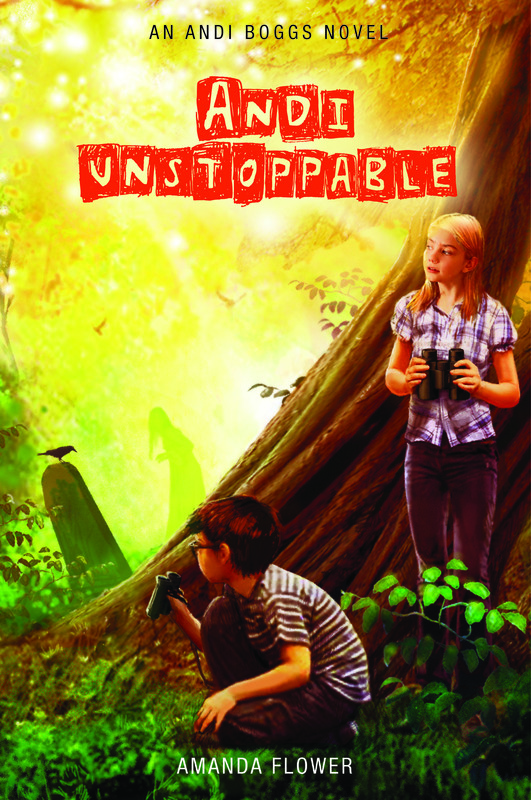 Andi Boggs and her best friend Colin Carter are at it again … in this third book of the Andi Boggs series, Andi Unstoppable, school has begun for the two Killdeer middle schoolers and the science teacher has a great idea! He is an expert birder and wants his class to share in the fun. In a birding group with Colin and her biggest school rival, Ava, Andi sets out to be the first student in class to spot the elusive Kirtland’s warbler but ends up spotting the town’s resident ghost instead! Isn’t the cover awesome? I can’t wait for you and the kids in your life to read it! Here’s a full list of the Agatha Nominees! Congrats to all! The cover of my second children’s mystery is here! I’m so excited to reveal the cover of Andi Under Pressure. This is the sequel to Andi Unexpected, which was a 2013 Agatha Award nominee for Best Children’s/YA Novel. 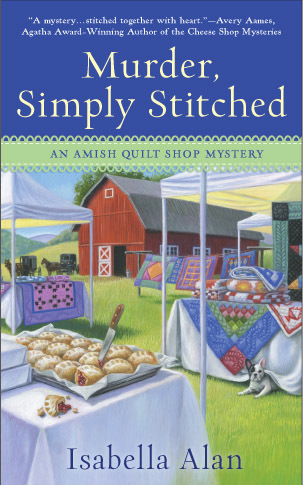 In book two, Andi and Colin are back solving the mysteries of Killdeer, Ohio’s checkered past. There might be a slight explosion in this one! Very special thanks to my friend chemistry professor, Dr. Sarah Preston, who helped me with the science behind the story. Twelve-year-old Andora ‘Andi’ Boggs and her new best friend Colin Carter couldn’t be more excited to attend the prestigious science camp at the local university in Killdeer, Ohio. Unfortunately, Discovery Camp’s curriculum appears to include much more than just chemistry and biology. From day one, the university is plagued by a series of pranks—missing markers, loose crickets, and stolen scales. Campus security blames the mysterious janitor Polk, but even though Andi agrees he’s acting suspicious, she can’t believe the gentle old man would do anything illegal. Then one prank goes too far and their chemistry professor is injured by an explosion in the lab, upping the stakes of the investigation. Andi and Colin must unravel the secrets behind the chemistry department and Polk’s dark past before danger closes the camp for good. 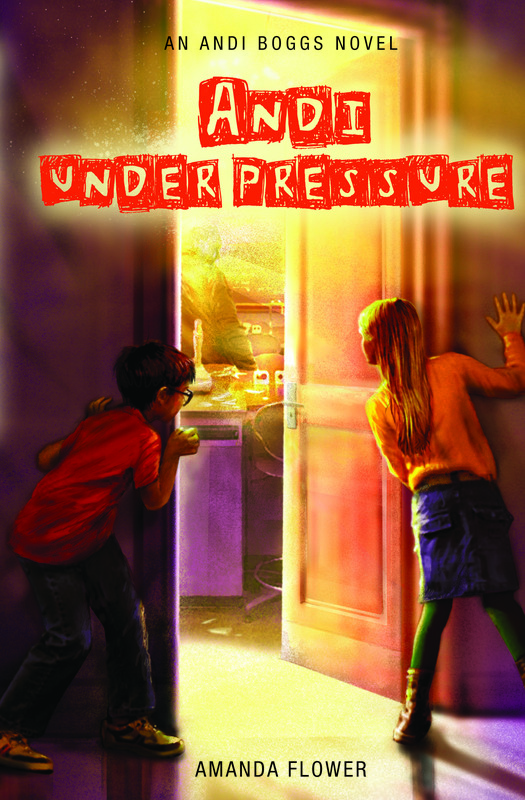 Andi Under Pressure releases on October 7, 2014 and is available for preorder now. Someone is up to no good in the chemistry lab! I’m packing for the Malice Domestic Convention, and I cannot wait to get there to see old and new friends and to meet readers. I love my readers! 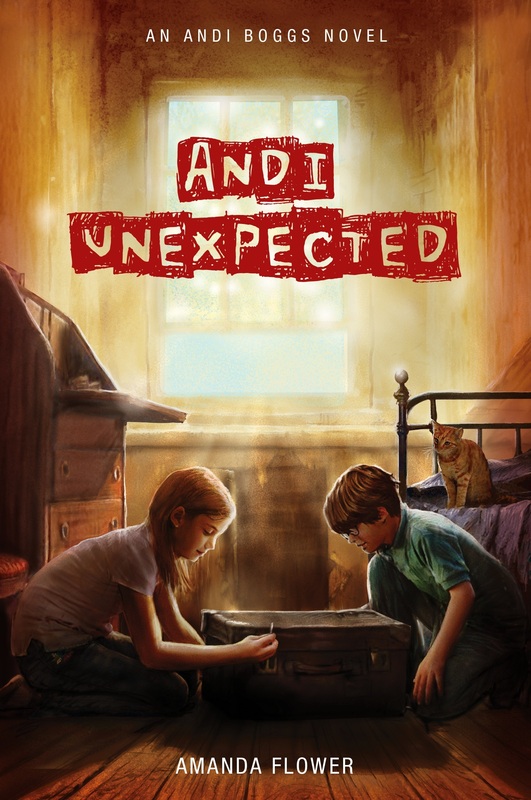 I’m still pinching myself that Andi Unexpected was nominated for an Agatha Award for Best Children’s/YA mystery. It’s my second nomination and first for the children’s/YA category. The winner will be announced at the Agatha Banquet on Saturday (5/3/14). If you see me at the convention, stop me to say “hello.” I’ll be in the hotel all weekend, but you can also find me at my panel, Kids Love A Mystery: Our Agatha Best Children’s/Young Adult Novel Nominees, along with my fellow nominees: Joelle Charbonneau, Kathleen Ernst, and Penny Warner on Saturday (5/3) at 9am with a signing right afterward. Leslie Blatt is moderating what promises to be a fun panel about kids and mystery. I hope to see you there! Oh and be on the lookout for Dead Fred photos at the convention on my Facebook Page. 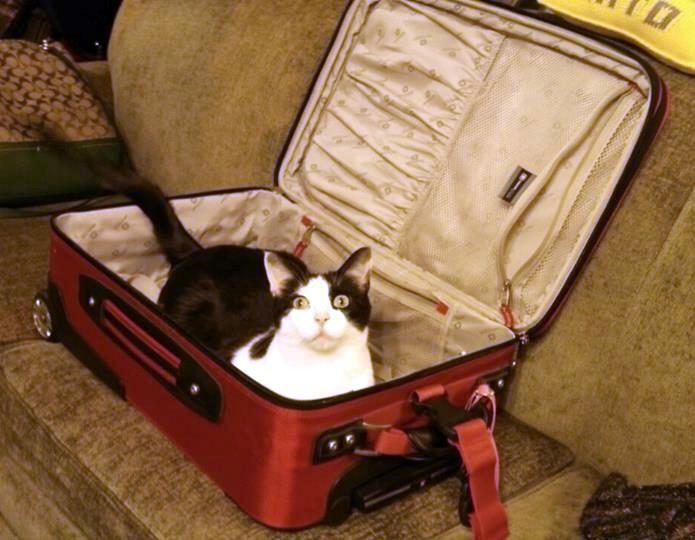 Mister Tumnus thinks he’s coming too! I’m so thrilled and delighted to share that my middle grade mystery, Andi Unexpected, has been nominated for an Agatha Award for Best Children’s/YA Novel. The Agathas are awards that honor the best in traditional mystery. It’s a great honor! My very first novel, Maid of Murder, was nominated for Best First Novel in 2010. That event changed the course of my writing career, so I know how monumental being nominated is. I’m so grateful for the Malice Domestic Convention that hosts the awards. I’m also thankful for my wonderful publisher Zonderkidz, my agent Nicole Resciniti, and my editor Kim Childress. The winners will be announced on May 3, 2014 during the Malice Domestic Convention. 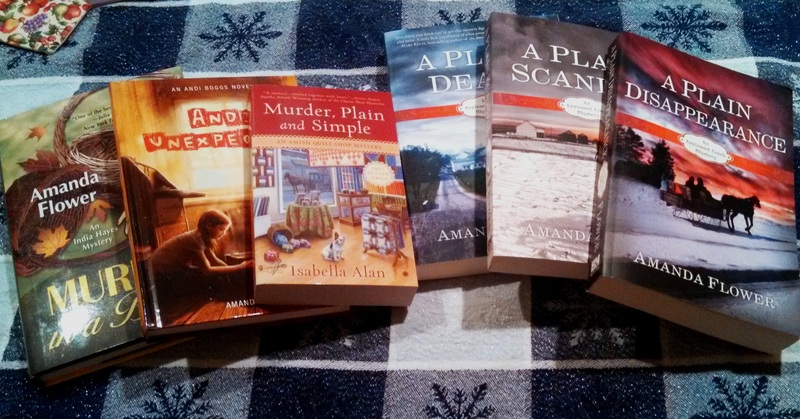 It’s my birthday this week, and to celebrate, I’m giving away copies of my mystery novels written under my own name and my pen name Isabella Alan!! To Enter CLICK HERE to visit the GIVEAWAY page on my website. Giveaway is limited to U.S. and Canadian residents only.